Our accredited Calibration Service provides on-site calibration as per DIN 51220 in Germany and neighbouring countries. We undertake maintenance and repair of your machines in cooperation with experienced service providers. 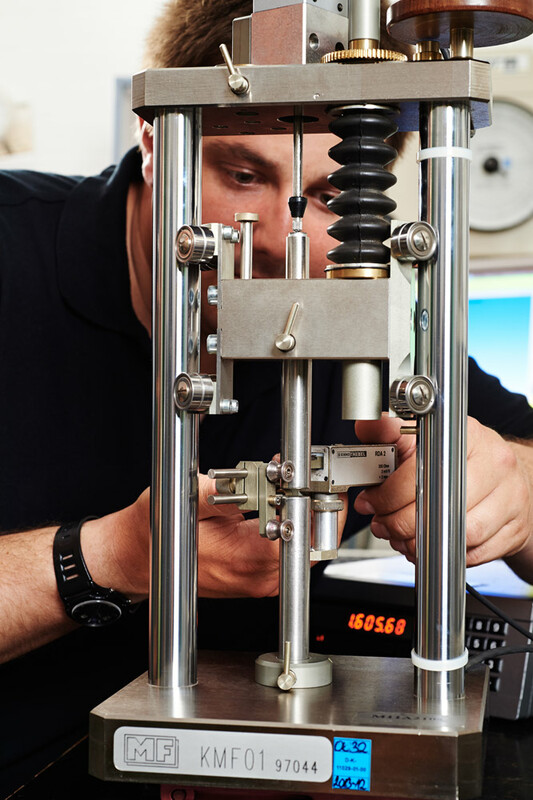 Our calibration engineers provide a fast, reliable service. As an added extra, we will take over administration of your scheduled calibration visits and offer you a convenient telephone reminder service. 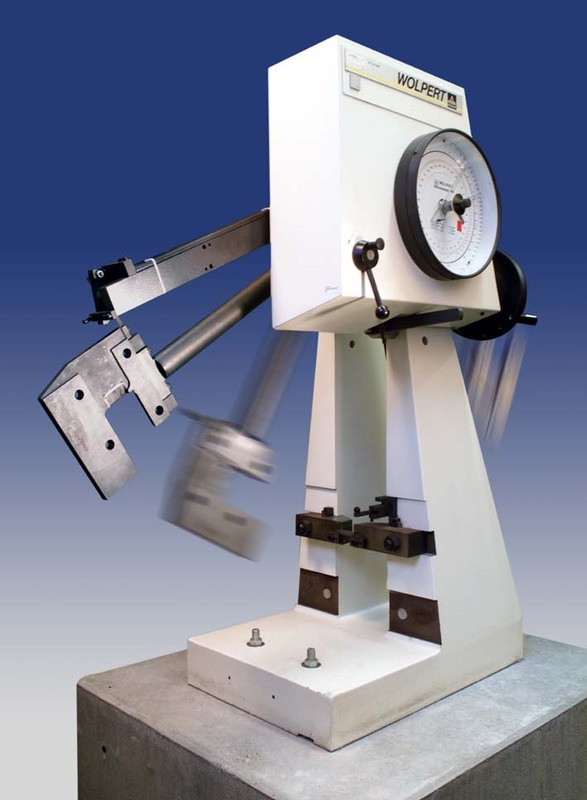 We will advise you on maintenance and monitoring of machine testing capacities, such as ensuring acquisition of hardness testing plates and indenters. We will also gladly give you advice on in-house quality assurance and control of inspection, measuring and test equipment. You will find our accredited services on our current accreditation certificate. 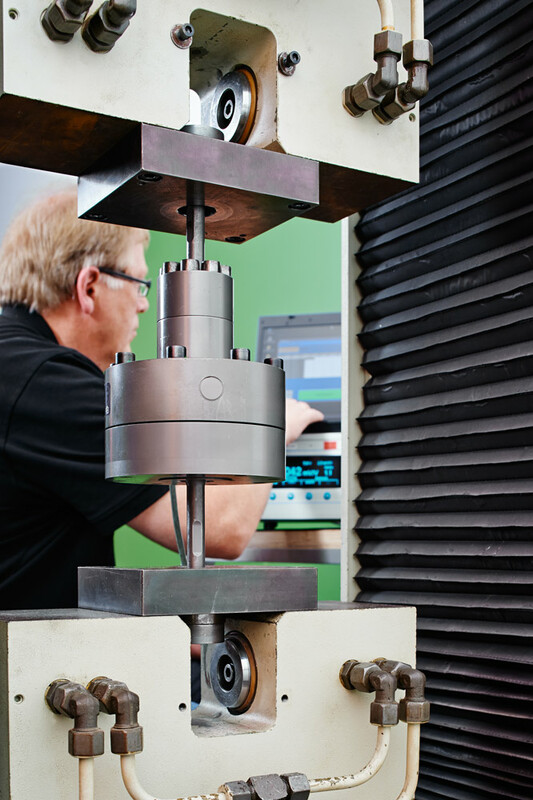 A manufacturer's calibration of your equipment is possible for non-accredited services on request. It is essential to look at the measurement chain as a whole in this respect. We will use our expertise to advise you on such matters.